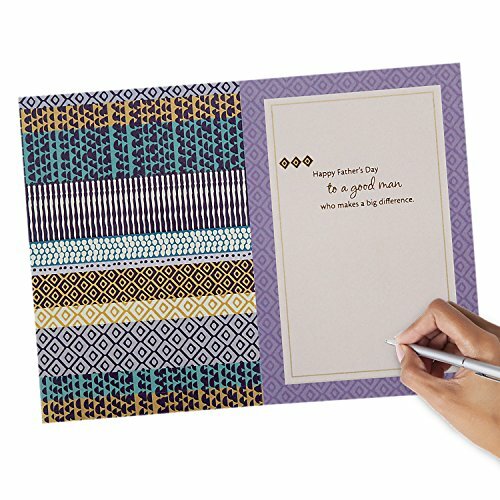 All Hallmark greeting cards are made with paper from well-managed forests. 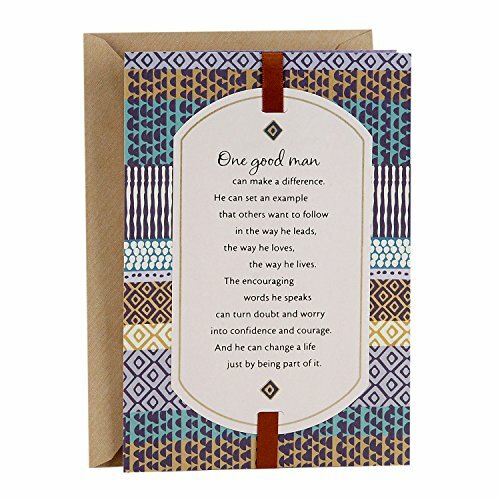 Card size: 5.8 inches wide by 8.3 inches long. Extra postage may be required. 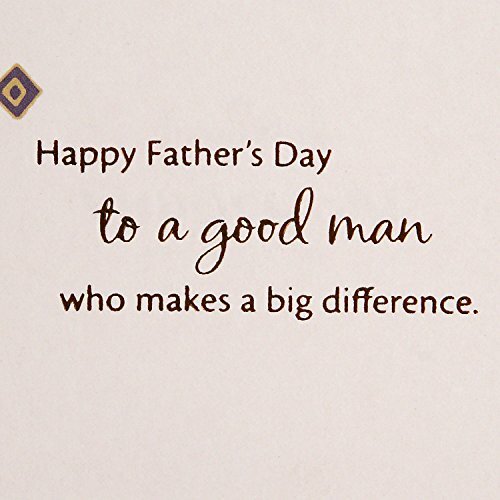 Inside Message: Happy Father's Day to a good man who makes a big difference. 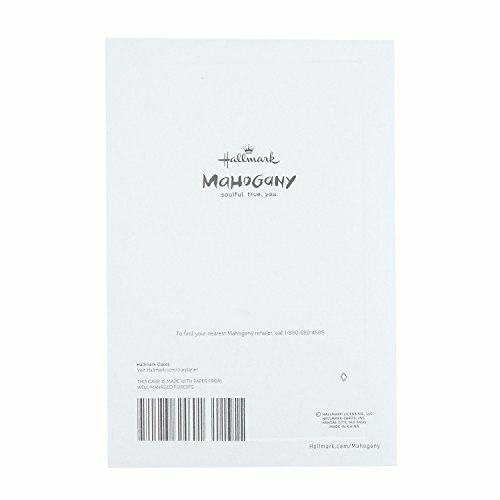 Mahogany greetings help African Americans enhance emotional connections with family and friends, and are an authentic representation of what is most beloved and valued within African American culture. 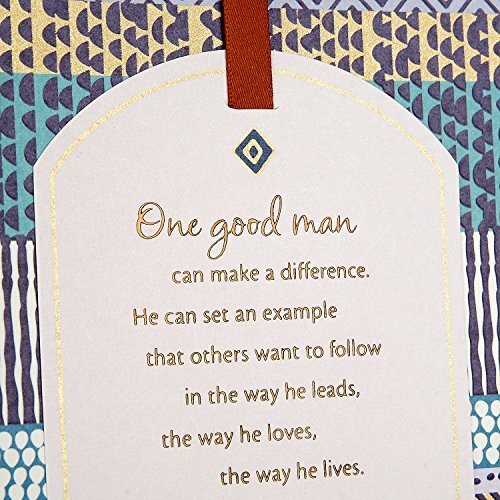 Printed on high quality paper stock, this Father's Day card is a thoughtful way to send a appreciative note to your dad, grandfather, son, brother, uncle, nephew, or other deserving dad in your life. 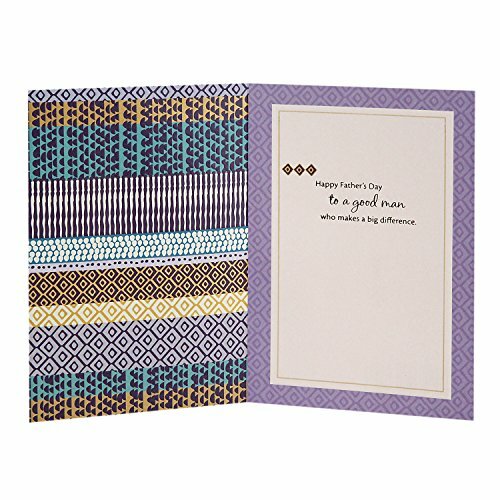 This card's design features an off-white tip-on on a patterned background in shades of blue and brown.